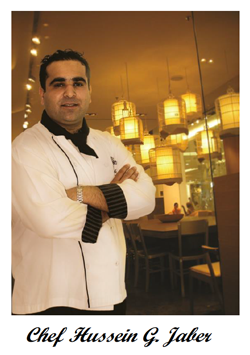 Burger 10 was established by leading Chef Hussein Jaber who has 25 years extensive experience working in the industry. Hussein is not your typical Chef. He has diverse food experiences from around the globe which is what has enabled him to craft such tantalizingly good burgers. When I think about cooking something new, I begin with fresh seasonal ingredients. I place one foot in the traditions that precede me, and keep an eye to the future & potential of what can be created. I focus on maintaining the integrity of the ingredients and knowing when to be bold and deft with my hand and seasoning. In the end it is always about affirming the life and culture that we are part of. Food is more than just a passion for Hussein and he has used his unique expertise and creativity to create a burger tasting experience for you that you will never forget. In fact, we’re confident you’ll be coming back for more. With Chef Hussein’s creativity, excellence, and passion for food you will get burgers that you won’t find anywhere else in Sydney. Our restaurant is located in the suburb of Glebe, so come on down today and give your taste buds something they’ve never experienced before.